Who’s winning? Okay, let me take these incredible subtle, complex programs and give you really simplistic advice. If you’re looking for a Pro Tools replacement that lets you do more with less pain, or you’re scoring new Peter Jackson movies, get DP. If you want the best all-around value in synths and instruments and you believe he/she who dies with the most software toys wins, get Logic. If you’re on Windows, and you want surround and power audio features, get SONAR. If you’re starting out, or you want to perform live, or you just want the most elegant app for audio and MIDI creation, get Live. If you’re cash-strapped, get Tracktion. 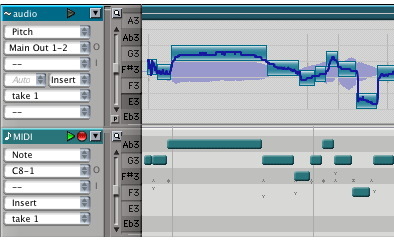 I love Cubase, but unless you’re cross-platform, I’ve had a harder time finding things that make me want to use it. Existing users certainly could do worse, but I can’t see picking up Cubase anew. Bottom line: with DP, Logic, and SONAR there are plenty of reasons to use DAWs that aren’t named Pro Tools as your primary, pro environment. And if you are happily using Pro Tools, great — just do me a favor, give that Ableton Live thing a try, now that it’s included with Pro Tools. You’ll find it’s a great addition to your Pro Tools arsenal.